Khmelnytsky, Yurii [Xmel’nyc’kyj, Jurij] (aka Khmelnychenko, Yuras), 1641–85. (Portrait: Yurii Khmelnytsky.) 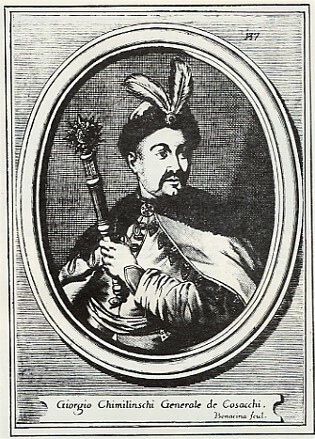 Hetman of Ukraine (1657, 1659–63) and hetman of Right-Bank Ukraine (1677–81, 1685); the younger son of Bohdan Khmelnytsky. His father, who hoped to establish a hereditary hetmancy, designated him as his successor after the death of his older son, Tymish Khmelnytsky. Although this was opposed by many Cossacks, who favored an elected hetmancy or had their own ambitions to become hetman, Yurii was initially chosen hetman while his father was still alive. At the Cossack Council in Chyhyryn in August 1657, however, after his father's death, when it became clear that the 16-year-old was incapable of governing on his own, the Cossacks elected Ivan Vyhovsky as hetman. Subsequently, however, Vyhovsky lost the support of the Cossacks and abdicated in September 1659. Khmelnytsky was again elected hetman of Ukraine, supported primarily by the pro-Muscovite Cossack families who opposed Vyhovsky's pro-Polish policies (see the Treaty of Hadiach). Capitalizing on the anarchy that was developing in Ukraine and Khmelnytsky's inexperience and weakness, the Muscovite government and its plenipotentiary Prince A. Trubetskoi forced Khmelnytsky to ratify the Pereiaslav Articles of 1659, which limited the sovereign rights of Ukraine, giving Moscow the power to appoint its own voivodes and to keep garrisons in six Ukrainian towns. This treaty greatly angered most Cossacks. In 1660, when the Muscovite army on whose side the Cossacks were obliged to fight in the war against Poland was defeated, the Cossacks went over to the Poles and the Muscovites were forced to surrender at Chudniv. 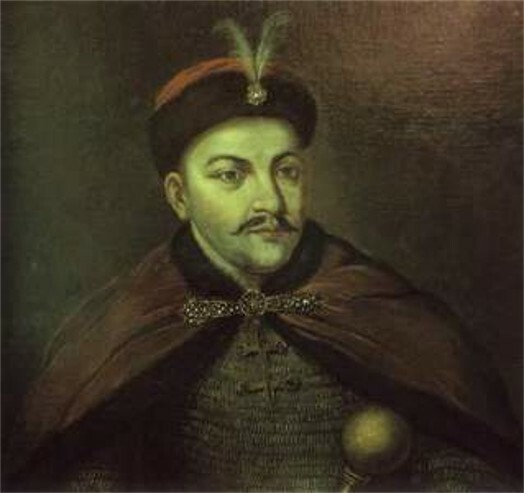 In October 1660, Khmelnytsky concluded the Treaty of Slobodyshche with the Poles, dissolving the alliance with Moscow and restoring the union with Poland, and annulling the Pereiaslav articles. This treaty, approved by the Cossack Council in Korsun, was opposed by some Left-Bank regiments led by Yakym Somko and by the Zaporozhian Cossacks led by Ivan Briukhovetsky, who favored a pro-Moscow orientation. Khmelnytsky, unable to control the situation, abdicated at the beginning of 1663 and became a monk, taking the name Gedeon. The emergence of both pro-Polish and pro-Muscovite forces in Ukraine, led by competing hetmans, led to the partition of the Cossack state into Left-Bank Ukraine and Right-Bank Ukraine and initiated the period of Ukrainian history known as the Ruin. In 1664, the Polish government accused Khmelnytsky of treason and arrested him. When he was released in 1667, he entered an Uman monastery where in 1670 (1673 according to some sources) he was captured by Crimean Tatars and taken to Istanbul. After a period of imprisonment, Khmelnytsky became the archimandrite of a Greek monastery. Eventually, the Turks attempted to use him to consolidate their rule over Right-Bank Ukraine. In 1677, Khmelnytsky was allowed to return to Ukraine, where he proclaimed himself Prince of Little Russia-Ukraine and Commander-in-Chief of the Zaporozhian Host, and established his capital in Nemyriv. In 1678–9, with the help of Tatar and Turkish troops, he attempted to annex Left-Bank Ukraine. Once again, however, he proved to be incompetent and alienated even some of his closest collaborators. The southern Right-Bank Ukraine became depopulated as the population fled east beyond the Dnieper River to escape his oppressive rule and the constant fighting between the Turks, Cossacks, Muscovites, and Poles. Following these failures, and the reconcilement between Moscow, Turkey, and the Crimean Khanate, Khmelnytsky was again deposed as hetman. In 1685, he proclaimed himself hetman once more, but after half a year he was executed at Kamianets-Podilskyi for disobeying Turkish orders. 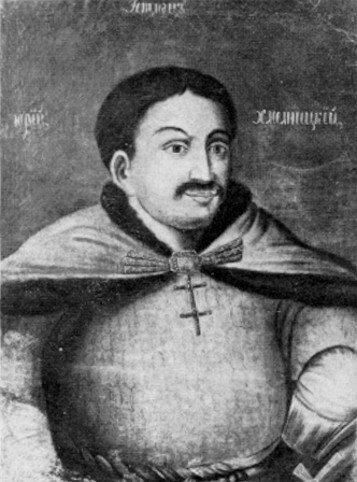 Yurii Khmelnytsky was a weak, unbalanced individual whose activities proved detrimental to the course of Ukrainian history and attempts at establishing a Ukrainian state.